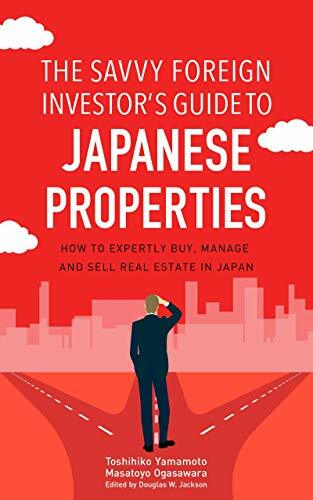 Real estate agents are always holding seminars in Tokyo, Osaka and elsewhere, luring in amateur investors and telling them beautiful stories of how this person or that person got rich in the property market. I always ask these fledgling investors what kinds of deals they’re doing, or are about to do. One of them was a doctor, obviously very intelligent and earning quite a good salary. He’d made two deals worth almost a million dollars, but was losing money from the start. On the advice of his real estate agent, he’d made these deals on a negative cash flow basis. I said wow, why did you do that? And he told me the agent had said he could apply the loss to his taxes. Tax saving is obviously a very important aspect of investing, but you need to make money first to save on tax. This doctor did not understand the basic concept. Real estate companies know that doctors make a lot of money but are usually not financially literate—they spend money studying math and English but not investment strategies. And after they graduate they naturally devote almost all their time to their profession. This illustrates the low level of financial literacy investors in Japan have, and why rogue brokers or companies can easily trap them. If the real estate firm serving this doctor were just one small devious company, it wouldn’t be a surprise. But the company is large, listed and runs ads on TV every day. They have to get clients to buy and sell properties to pay their overhead and for all that promotion and so on. I always care more about the investors because I want them to make money. It has to be a win-win.